Dr. Tee is totally awesome and delivers the true facts to his patients. Don’t bother going if you are not readyto hear the real reasons your heart is not healthy. I am healthy today because he showed me the way to care for myself in a way I could actually do! Other doctors had unrealistic ideas. Love Dr, Tee!! Dr. Tee is totally awesome and delivers the true facts to his patients. Don’t bother going if you are not ready to hear the real reasons your heart is not healthy.I am healthy today because he showed me the way to care for myself in a way I could actually do! Other doctors had unrealistic ideas. Love Dr, Tee!! Dr Tee saw me on a day when the office was closed for the holidays. It was obvious that there hadbeen a mix up w/Zocdoc but he took the time to see me when he had no office staff to assist him. He was accurate with his diagnosis, prescribed the appropriate medication and even inquired about a follow up visit. He exceeded my expectations! Dr Tee saw me on a day when the office was closed for the holidays. It was obvious that there had been a mix up w/Zocdoc but he took the timeto see me when he had no office staff to assist him. He was accurate with his diagnosis, prescribed the appropriate medication and even inquired about a follow up visit. He exceeded my expectations! Awesome. Very informative and knew a lot about a condition I’ve been struggling with. Dr Tee is energetic and has a great bedside manner. He listens asks questions and discusses any issue you may have. I would recommend Dr T as a primary care doc. Dr. Tee is my primary physician, I know him very well, and I thank God for leading me to him. He has been my physician for more than 17 years. I love him to death, very smart and knowledgeable! Dr. Tee listens, he does not rush. He might get you into his office after a 25 to 30 minutes wait, but when you go into his office, he listens to you attentively every time! Explains your condition, he even speaksthree languages. English, French, and Spanish fluently! I recommend him, very much! He seemed to be generally concerned with my care so far. This was just the first visit. I was in need of s primary care physician and annual check-up. Dr. Tee and the staff were friendly and helpful. I am glad to have found a doctor in the neighborhood. Dr. Tee is very careful, thoughtful, and knowledgeable. He challenges assumptions and verifies his analysis with others as needed. He doesn’t let his ego get in the way of your health. Dr. Tee was very professional, he did not seem like he was in a hurry, he took his time and listened to me and I was very appreciative of that! Also, the wait time was very reasonable, 15 minutes! 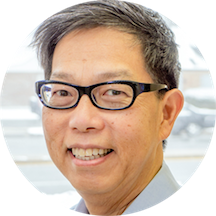 Dr. Tee has been my primary care doctor for several years and is super busy already however, he has a great office staff and they get patients in and out! Theyve got it down to a science!! He's well knowm asa cardiologist so I had to choose and because he is open to discuss all of my health concerns (because he genuinely cares) I opted to keep him as a PCP. GREAT CHOICE!!! He takes a sincere interest in his patients, he has a personal relationship with each, he knows us well and it makes going to the doctor so much easier!! Love my Dr. Tee!! I DONT WANT TO SHARE HIM :) BUT YES I HIGHLY RECOMMEND HIM! He found the source of my problem throughly and accurately (even more so than any past Dr since i recently got sick). He found humor in my sitaution and that actually helped me relax, crack a smile and see the silverlining that the worst was over! His bedside manner is straight to the point but very relatable. He's officially my new PCP! Cool Tips: there's a small but Decent parking lot but also a super convienient & private owned pharmacy right across the hall. This is a great convienence to fill your perscriptions after your visit...A one stop shop! My mom loves Dr. Tee. He is a good doc very professional and tells you like it is. A little bit of a wait but worth it. Dr. Tee listens to the patient and works well with other doctors. When I was in the hospital, he stopped by every day to see me. I highly recommend him, especially if you have a complex case. Very professional and excellent patient service. Dr. TEE, IS THE BEST DOCTOR I HAVE EVER HAD. HE TRULY CARES ABOUT HIS PATIENTS AND MAKE HIS RECOMMENDATION OFF OF WHAT IS BEST FOR HIS PATIENTS. I MUST SAY I LIVE THIS DOCTOR. I'm not sure you can reasonably call this a doctor's office. I went in for an annual physical which consisted of a 45 minute wait for an "exam" that lasted less than 10 minutes. They then asked that i come backin 10 days for a follow up that "can only be done on Wednesdays" and then wait 6 weeks for the results of the follow up. They are also unable to even draw blood on-site for a blood test, you have to go to another location for that. They also can't administer a flu shot on-site, but the receptionist was kind enough to write a prescription for one on the doctor's behalf (as if a prescription is even required for a flu shot). Very professional, excellent Doctor . Excellent physician - very knowledgeable & clearly explained my diagnosis and treatment. Great Doctor, He was able to resolve my issues during my visit. He is a knowledgeable professional with nice humor made me feel confident right away. Easy to talk to and gave me all the ressources I need. A little bit of a wait but it was my first time so there is always paperwork, and it seemed pretty busy. Seems like a great guy, very personable and efficient. Definitely recommend! Finally found a PCP worth going back to. Dr. Tee was thorough without being overbearing and explained everything to me in appropriate detail. Dr. Tee is awesome. He is very knowledgeable and he goes right to the point. He has excellent bedside manners and demonstrates genuine care for patients. 5 stars!!! I was expecting him to be amazing because of the reviews, and that he was! I have complex medical issues. Dr. Tee was familiar with my conditions, my specialists, and how they worked together. He took time to look at my files and talk to me--this is rare these days. I cannot recommend him enough! Dr. Tee was extremely nice and genuine, even with my last minute appointment for the end of the day on a Friday. There's also a pharmacy next door which was very convenient. It was a prleasure at his office. They entered all my information for a new patient quickly. I was taken into Dr. Tee's room at my appointment time. He was very informative with giving me all his opinions of about my physcial conditions. I would recomend him to everyone. Dr. Tee is awesome. Very straightforward and says it like it is. Spent plenty of time talking to me and saw me on time. Staff very friendly. Dr. Tee is very straight forward and honest! He does not sugar coat information or waste your. He is also very easy to talk to. Great experience. It was quick and fine.